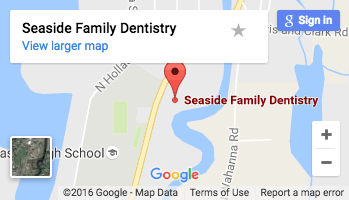 Have you been avoiding scheduling the next appointment with your Seaside Oregon Dentist? If so, Dr. Santos wants you to know that you’re missing out on important health information that could save you money long-term. The Academy of General Dentistry (AGD) has issued a reminder to consumers that receiving regular dental care such as cleanings and exams offer far more protection than to just the health of our teeth and gums. Regular dental care plays a pivotal role in protecting our long-term oral and overall health. Unfortunately, many consumers fail to see it that way. A recent survey conducted by the AGD found that only 25 percent of respondents associated visiting the dentist with important screenings for oral cancer. Even more troubling, just 14 percent viewed their general dentist as an expert capable of improving and maintaining their overall health. Nearly 50 percent of respondents said they didn’t believe their general dentist was an expert on disease prevention, while 59 percent of respondents stated they didn’t believe their dentist to be an expert on overall health. Just 23 percent of respondents believed that dentists stay up-to-date with the latest advanced in dental care and technology, despite the fact that general dentists are often required to keep their skills updated and participate in continuing education programs. Fewer than 1/3rd of respondents said that their general dentist was an expert on teeth whitening, despite the fact that the cosmetic treatment originated in general dentistry practices. More than 20 percent of respondent admitted to not having a general dentist, and young adults between the ages of 18 to 34 were less likely to view a general dentist as an expert on oral wellness. In her statement, Dr. Smith points out that failing to properly take care of oral hygiene can cause serious health complications, and that consumers need to follow a regular schedule when it comes to making dental appointments. “The mouth is the gateway to the entire body, and poor oral hygiene can result in or worsen cardiovascular conditions, diabetes, and other illnesses,” wrote Dr. Smith. “Regular dental visits, every six months, are a chance to establish an oral care home base, educate patients, prevent disease, and screen for other conditions. Additionally, the head of the AGD says that regular visits can often uncover health problems before they become more serious. For example, early signs of conditions like gastroesophageal reflux disease (GERD) first show up in the mouth, and other signs like swollen gums can indicate the onset of diseases like heart disease, cancer, and diabetes. So the next time you consider skipping an appointment with your Seaside family dentist, just remember that a little prevention today can make a big difference to your health tomorrow and beyond.